We know the teams, we know the groups, we know the fixtures, but do we know our World Cup mascot? Zabivaka the wolf is the choice for this summer's showpiece in Russia, taking over from Fuleco the three banded Brazilian armadillo who was the mascot when the competition was held in Brazil four years ago. The Official Mascot will play a very important role in the upcoming 2018 FIFA World Cup Russia™. The wolf will not only promote the event and entertain crowds at the stadiums, but also become an ambassador for Russia and a worldwide ‘celebrity’. He is always fun to be around - as the joker in the pack, he knows how to make others laugh. He has taken to wearing cool sports glasses when he’s in action; he believes they give him special targeting powers on the pitch. And he loves to pose for photos. 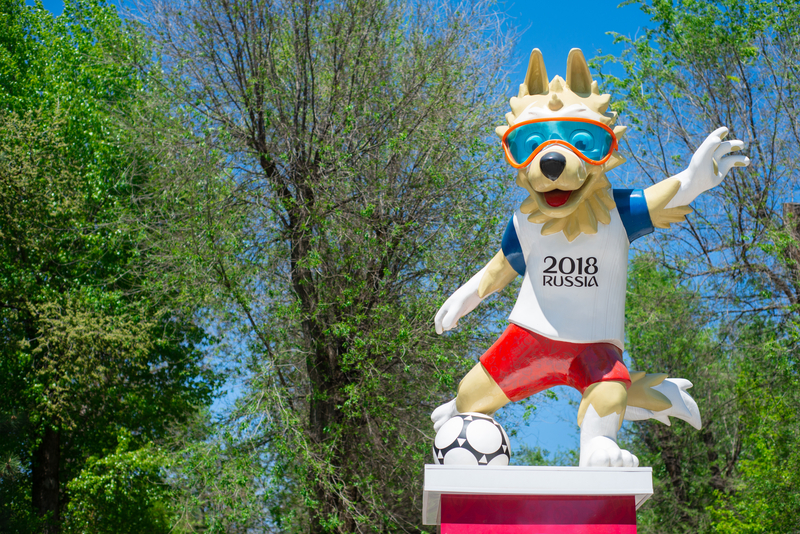 Zabivaka was created by student designer Ekaterina Bocharova, and the mascot was selected by an internet voting system which took place in 2016. Zabivaka won the poll at a canter, garnering 53% of the vote, beating off a tiger and a cat in the process. More than one million people participated in the voting, which took place during September 2016 in the FIFA platforms, as well as during the live broadcast on Channel One, where the results of competition were announced. But Zabivaka has already been involved in some controversy after the Furry community took a shine to character, depicting the wolf in multiple compromising positions.